“Audiophile’s jazz singer of the decade” creates her new 2017 project The Moonlight Sessions with the highest level of quality in today’s musical recordings. 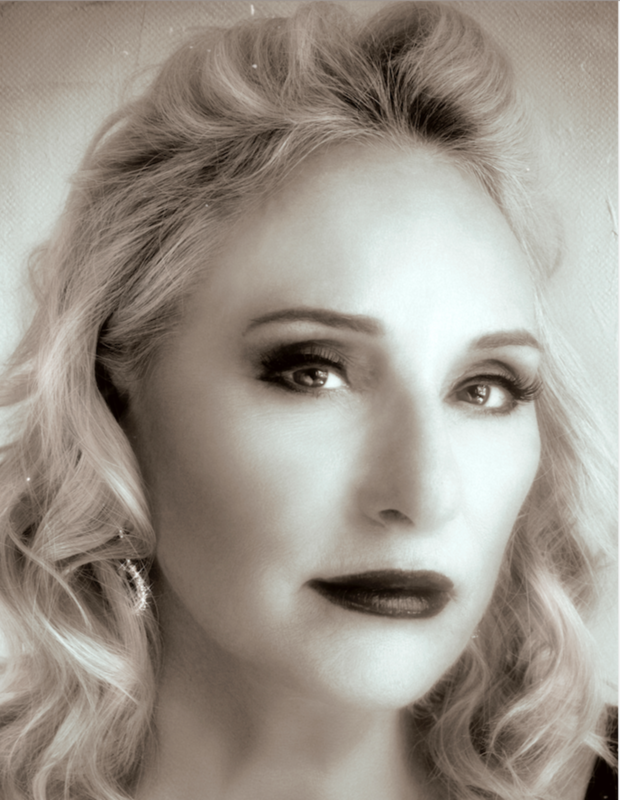 Wildly popular Southern California vocalist Lyn Stanley’s new project ventures into new musical territory with her creative approach to American music. This time, she’s borrowing from the classical composers–Chopin, Beethoven, Debussy, Mozart, and Ravel to breathe a new excitement into a few jazz standards like you’ve never heard them before. This series begins with this Volume One. She has also added songs to this special project from the country and pop genres and added arrangement twists with jazz applications that modernize them as they delight your ears. Lyn delivers every song with the finesse and confidence of a veteran song stylist – and she is only a few years into her vocal career. The ensemble is Lyn Stanley – vocals, Mike Garson – piano, Christian Jacob – piano, Tamir Hendelman – piano, Chuck Berghofer – bass, Ray Brinker – drums, Bernie Dresel – drums, Joe LaBarbara – drums, Luis Conte – percussion, John Chiodini – guitar, Chuck Findley – trumpet, Rickey Woodard – tenor saxophone, Bob McChesney – trombone, and Hendrik Meurkens – harmonica. The tracks are as follows: All of Nothing at All, Willow Weep for Me, Moonlight Serenade, My Funny Valentine, Embraceable You, Why Don’t You Do Right, Girl Talk, Crazy, Close Your Eyes, How Insensitive, Break It to Me Gently, and In the Wee Small Hours. She has also added songs to this special project from the country and pop genres and added arrangement twists with jazz applications that modernize them as they delight your ears. On board for The Moonlight Sessions are her stellar cast of musicians. Piano: Mike Garson, Christian Jacob and Tamir Hendelman; Bass: Chuck Berghofer; Drums: Joe La Barbara, Ray Brinker and Bernie Dresel; Jazz Guitar: John Chiodini; Percussion: Luis Conte; Harmonica: Hendrik Meurkens; Harp: Corky Hale, Carol Robins; Trumpet: Chuck Findley; Trombone: Bob McChesney; Tenor Sax: Rickey Woodard are all on board and recorded. This project’s arrangers include, Mike Garson, Christian Jacob, Tamir Hendelman, John Chiodini, Steve Rawlins and Doug Walter. Lyn Stanley is the Executive Producer with Co-Producers Lyn Stanley, Mike Garson and John Chiodini. Volume One: (RELEASED May 30, 2017) click here. Volume Two: (anticipated release August 2017) click here. Lyn Stanley’s SuperSonicVinyl™ is a superior quality vinyl, utilizing state of the art mixing and mastering techniques, from top engineers and studio boards, and combined with top rated master engineering and ONE-Step experienced pressing plants we create what we believe is the ultimate in sounding records. About the ONE-Step process: This process was used often in the early days of vinyl. But when mass vinyl production was needed, the manufacturers had to create more cost effective means to make vinyl copies and the “three step” process was the new standard. To make a vinyl record, you need a “Negative Source” to imprint the vinyl grooves. The industry standard today is a THREE-step lacquer process designed to create the largest number of records from one lacquer (they are expensive to create). To do this three steps are required–from the lacquer (positive source) STEP ONE: make a “Father” (a negative source), STEP TWO: create a Mother from the Father (positive source) and then STEP THREE: create “Stampers” (negative source) from the “Mother.” This way the “Father” does not get used very often and is the most preserved “negative source.” However, the record you listen to is three steps removed from the original mastered lacquer and can grab hissing, or subtile glitches that affect the sound recording on your system. The ONE-Step method takes the “Father” from the original lacquer and that is what will create your vinyl record. Some “Fathers” only last for 100 pressings, others have gone to 1000. It depends on the processing and original lacquer quality. Once the Father is no longer able to make a great recording, it must be destroyed and no other albums can be created from that original lacquer.